The Gauntlet - CANNABIS CORPSE kick off North American tour! CANNABIS CORPSE kick off North American tour! CANNABIS CORPSE are kicking off their North American tour as main support to NAILBOMB (POINT BLANK WITH SOULFLY). The tour begins tonight in Raleigh, and sees the band traveling across the US and Canada before concluding on October 26. A full list of confirmed tour dates can be found below. 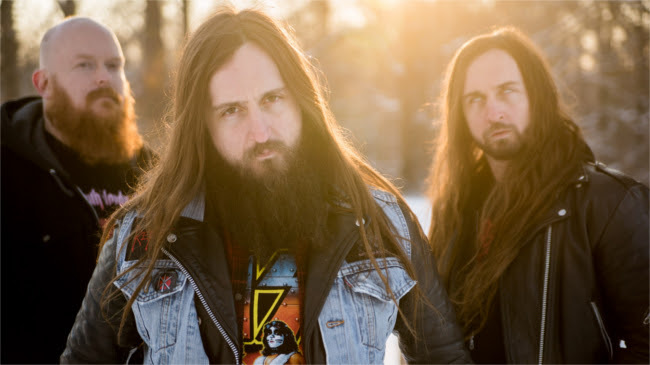 CANNABIS CORPSE are touring in support of their new album, 'Left Hand Pass'. The album sees the band, led by the imitable Phil "LandPhil" Hall (MUNICIPAL WASTE) and his twin brother Josh "Hallhammer" Hall joined by SIX FEET UNDER guitarist Ray Suhy and his prodigious six-string talents. Left Hand Pass' is streaming now on Bandcamp, Spotify, Music Apple, and more!